Vanderbilt Industries lite blue is a web-based access control system for up to 8 doors, with expansion capabilities to 32 devices. 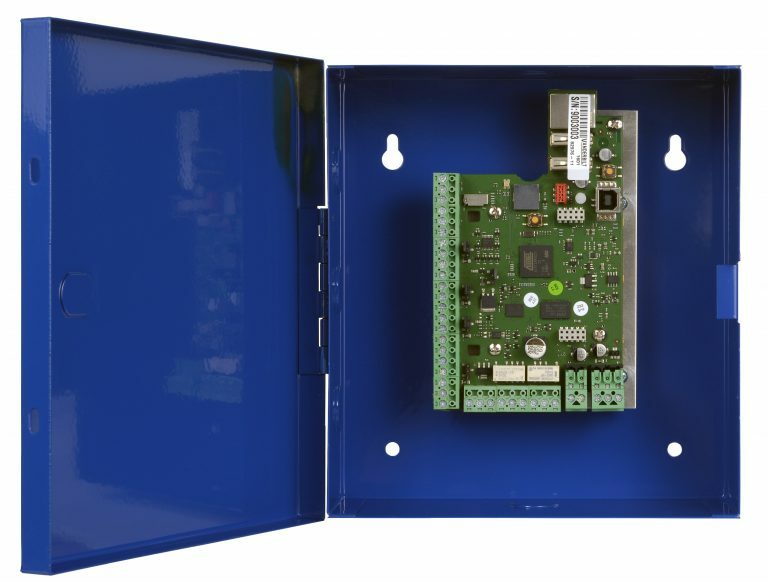 Designed in the same manner as Vanderbilt’s flagship bright blue controller, utilizing embedded intelligence, lite blue does not require special software or a dedicated PC. This allows you the flexibility to manage your system from anywhere with internet access! lite blue takes simplicity a step further when it comes to cost effective, easy-to-use access control. It supports standard Wiegand devices, Schlage AD Series electronic locks, and various card formats and technologies such as proximity, smart card, magnetic stripe and Bluetooth. 1 -8 door web-based access control system. 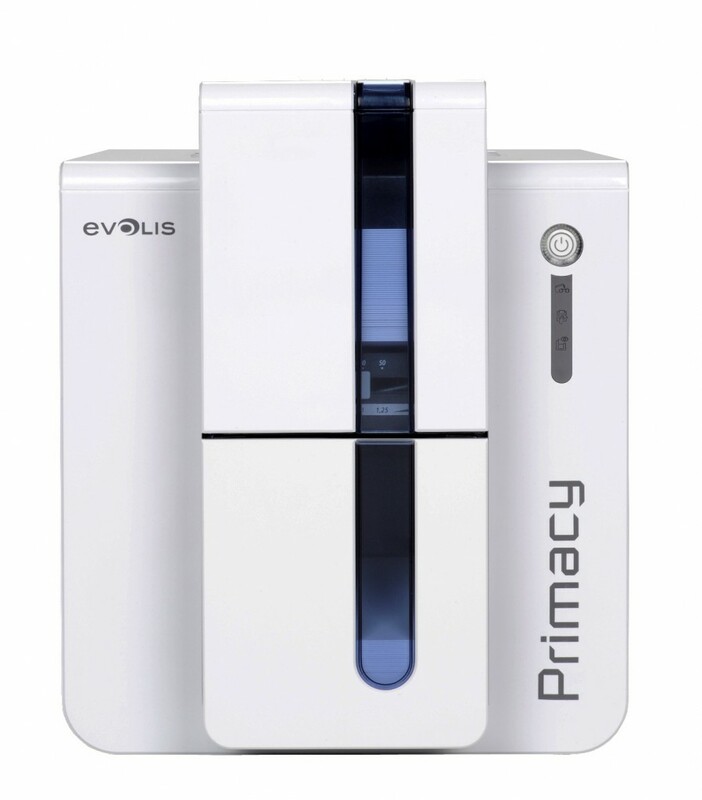 Includes Reader Controller with on-board support for 2 readers (no interface necessary up to 2 readers), 128MB RAM, 4 Inputs/2 Outputs, 10/100 BaseT Ethernet Port, 2 RS-485 Ports, battery backup. Power Requirements: 12-24 VDC. 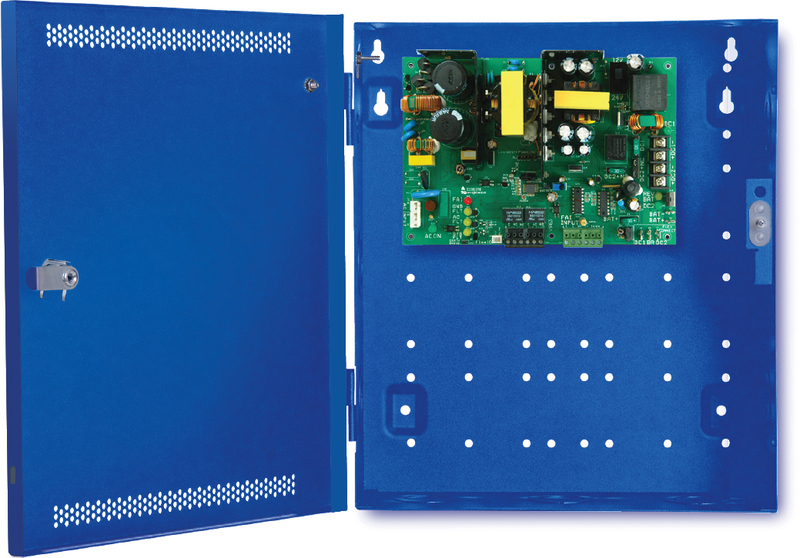 Reader Interface board connects to (1) credential reader and has (4) unsupervised contact inputs and (2) 1A output relays. Can be powered at the Controller board or at separate locations. Includes NEMA 1 rated enclosure. 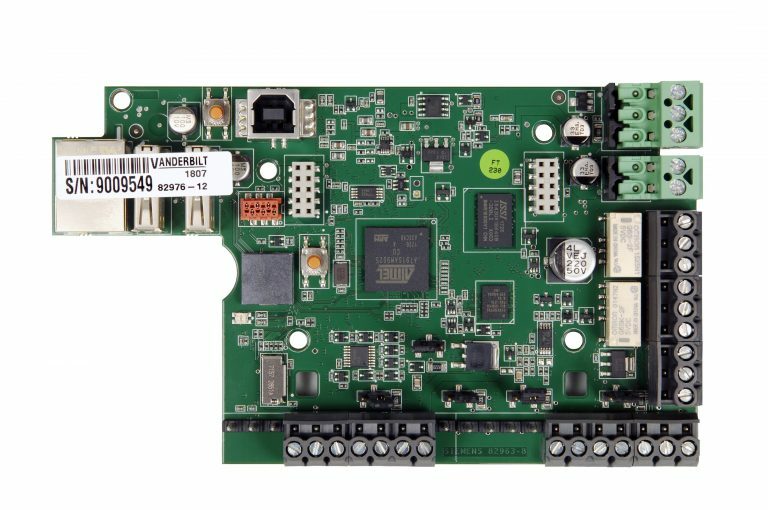 IP-based reader interface board allows connection to (1) credential reader via RS-485 protocol, and then to Controller Board via standard network Ethernet connection. Supports (4) unsupervised contact inputs and (2) 2A output relays. Includes NEMA 1 rated enclosure. Power requirements: recommend VBB-3ALS Power Supply; sold separately. Designed for use with the lite blue / bright blue product line, this 3 Amp dual voltage power supply includes battery charger and power supervision. On-board visual indicators allow for immediate installer feedback. Independent form C relay contacts are provided to report AC and system fault conditions to remote or auxiliary equipment. Power supplies come with two (2) 12VDC 7AH back up batteries. 3 Amps at 24VDC or 6 Amps at 12VDC selectable output. Recommended for use with VLB / VBB Controller Board. 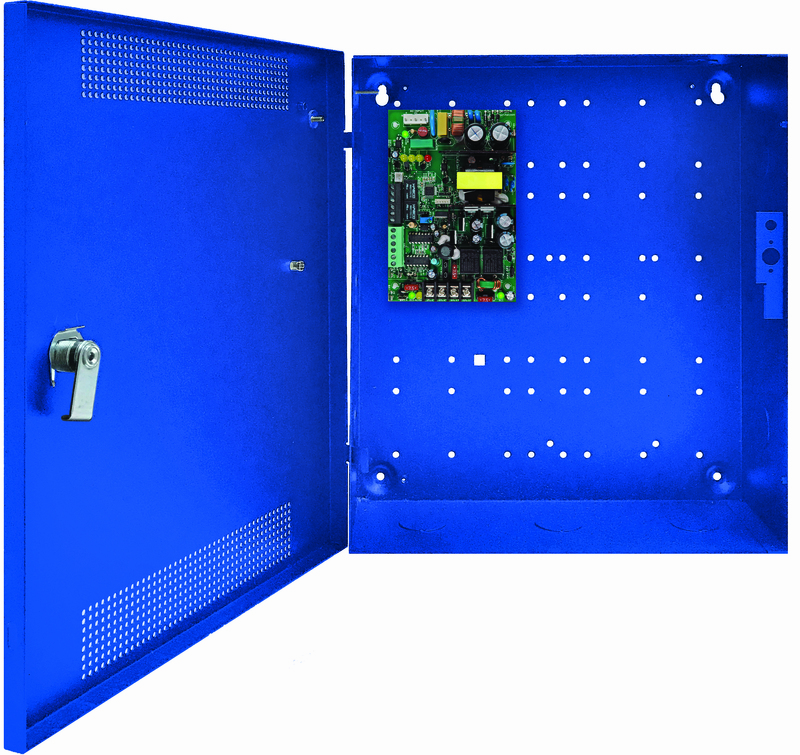 Our 6 Amp dual voltage power supply is part of our lite blue / bright blue product line and allows for flexibility in powering reader and lock hardware devices. Designed for excellent performance with readers, Vanderbilt power supplies are efficient, high performance switching power supplies with battery charger and power supervision. 6 Amps at 24VDC or 12 Amps at 12VDC selectable output. The lite blue / bright blue dual voltage adjustable power supply affords the utmost in flexibility when it comes to system configuration. This power supply supports 10 Amps at 24VDC or 20 Amps at 12VDC. All Vanderbilt power supplies are efficient high performance switching power supplies with battery charger and power supervision. Single sided color printer. Features dye-sublimation at 300dpi thermal printing technique, 10 to 50 mil cards and edge-to-edge printing. CardPresso Badge Design software included. Requires a USB port (cable supplied). Dual sided option available.NOTE: Badge printer is a standalone system.